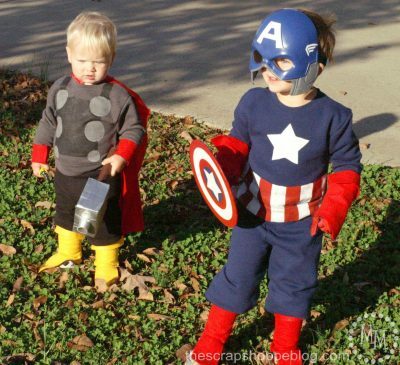 Create these no-sew superhero costumes from basic sweats, paint, and a little felt. The tutorial includes instructions for making Captain America’s shield and Thor’s hammer (from a cardboard box! ).